Petition to remove S. Aranas #76 from the University of California Police Department. 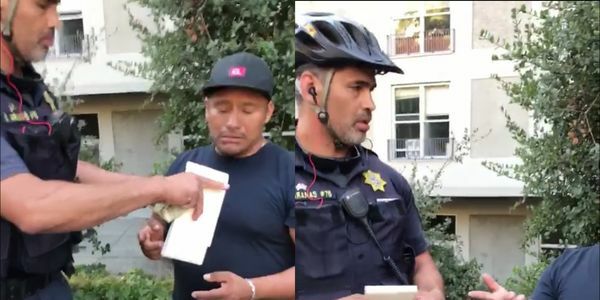 This petition is being circulated because the community feels that this officer should be removed from the University of California Police Department. S. Aranas has continuously targeted, harassed, and assaulted minorities in the community. He has allegedly beaten students during peaceful protests, harassed black students, harassed other students of color, stabbed a student in the ribs during the Wheeler Hall protest, dislocated another student's arm during the same protest, purposefully pushed and trampled over various female students, and arrested a woman for cop watching. Staff and faculty at UC Berkeley have had to intervene and de-escalate several situations with him. He has been reported to campus and UCPD leadership several times over the years. Most recently, S. Aranas targeted a street vendor after a UC Berkeley football game. We believe that our officers should focus on protecting our students and our community. And most importantly, we believe our officers should be respectful towards all students and community members (and not single out minorities/people of color). Because S. Aranas #76 has failed to do so, we are asking for his immediate removal from UCPD.